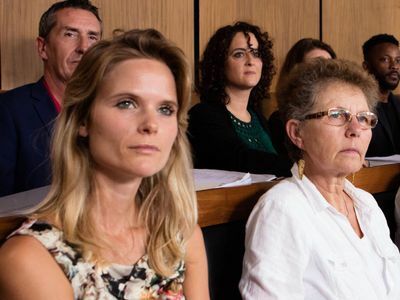 Here's where to watch every episode of The Trial: A Murder in the Family season 1. Mouseover or tap an episode to see where to stream it. Click or tap the play icon to stream it on the best available service. Episode 1 May 21, 2017 As the trial begins, police officers and witnesses are called to give evidence and - as Simon and the jury look on - a picture is painted of the day when Carla Davis was killed. 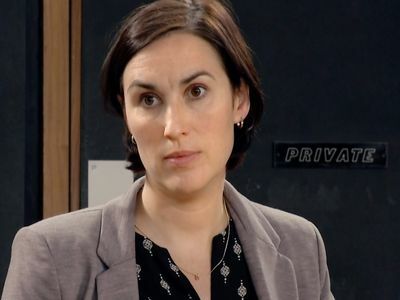 Episode 2 May 22, 2017 The trial continues with key evidence from Carla and Simon's friends, colleagues and family. They're all subjected to rigorous cross-examination from the defence and prosecution teams. 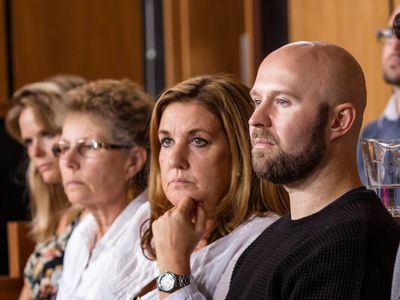 As details emerge of Simon and Carla's personal histories and questionable past behaviour, the jurors begin to form a fuller picture of why they separated and what their relationship was like at the time of Carla's death. Can Simon remain impassive as the emotional testimonies mount up? Episode 3 May 23, 2017 The end of the trial draws near, with two key players still to speak. First up is Lewis Skinner, Carla's boyfriend at the time of her death, who has a few secrets of his own. 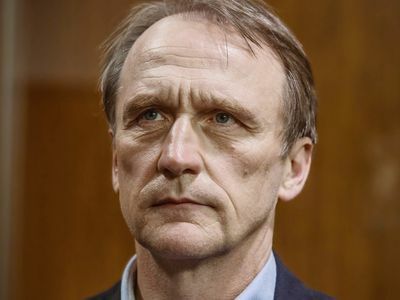 While the prosecution position him as a man bereaved, the defence argue that, as a potential alternative suspect for the murder, both his presence and actions present sufficient reasonable doubt for Simon to be acquitted. How will he fare on the stand? Meanwhile, a critical decision looms for the accused. Episode 4 May 24, 2017 The final evidence is heard, QCs John Ryder and Max Hill offer their closing speeches and Judge Brian Barker gives his summing-up address, before the jurors are sent down to begin their deliberations. Offering an unprecedented insight into a jury's decision-making process, cameras capture every highly charged debate and dilemma, from the selection of a chairperson to the fate of the defendant. Episode 5 May 25, 2017 The jury concludes its deliberations, while Simon Davis and both legal teams await their verdict. But will it be the right one? The truth is finally revealed, as a dramatised segment depicts the last tragic moments of the life of Carla Davis.